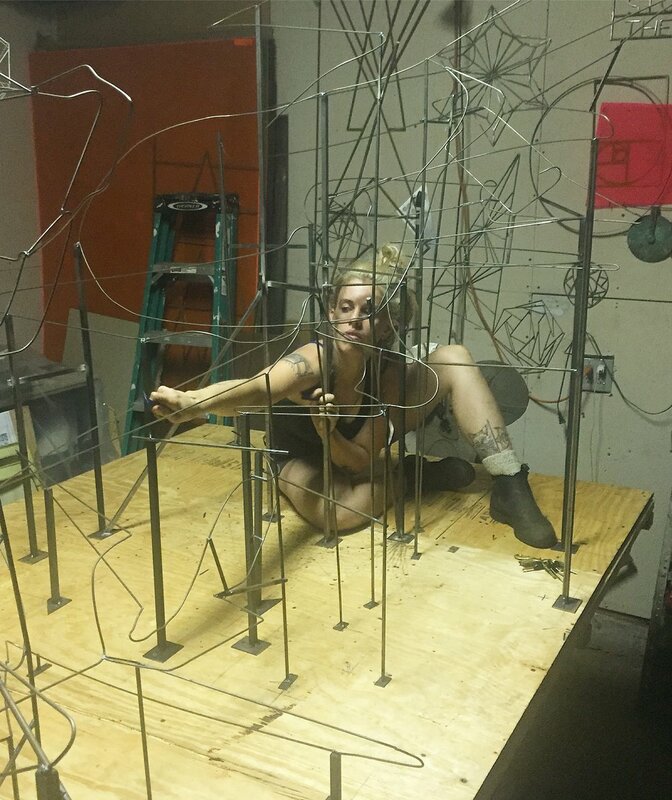 in 2016 we worked with Alex Da Corte to make a steel armature for his piece "the Last Living Rose", that was shown as part of his show "A Man Full of Trouble" at Maccarone. 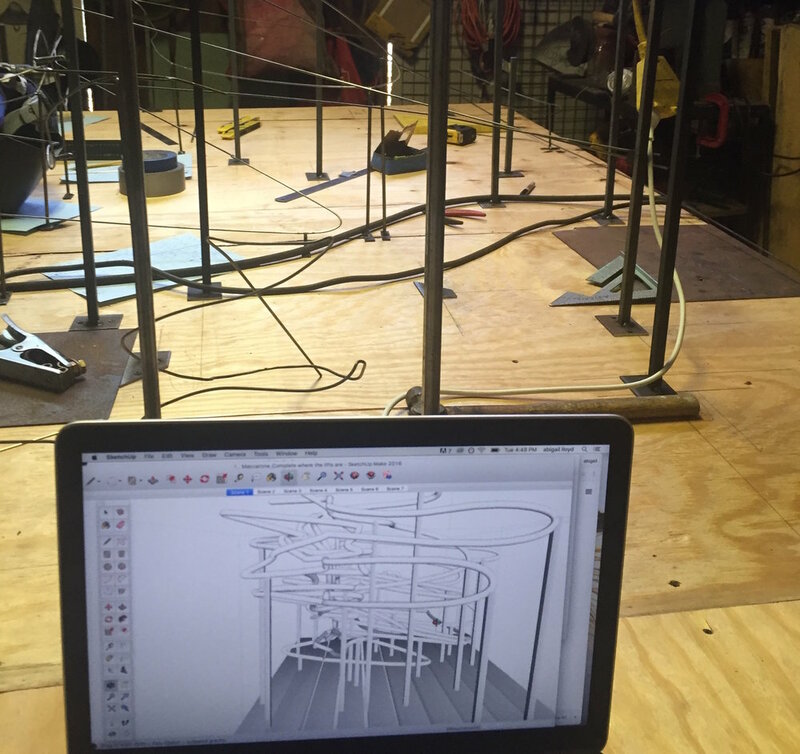 We worked from 3D modeling drawings to create the 1:1 lifesize steel structure that was then given to the neon artists to trace. 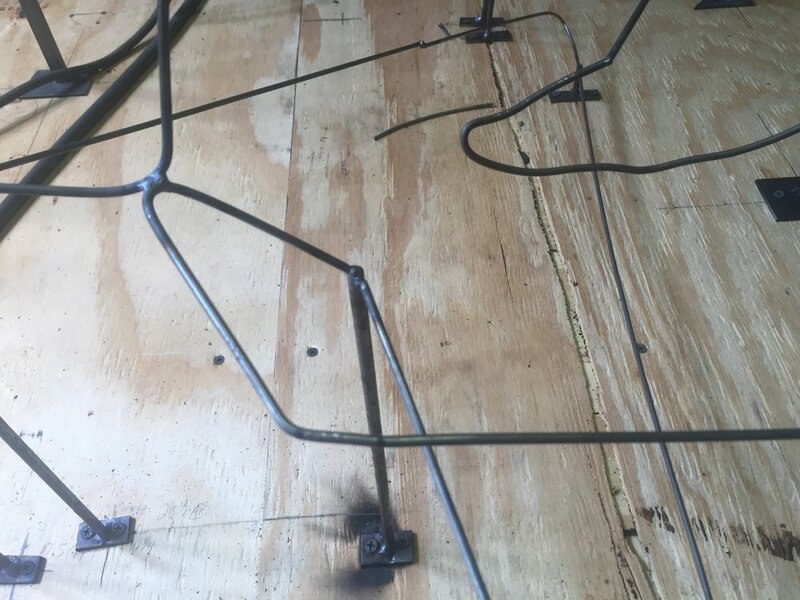 The armature was 10' long, 5' wide and 6'high - we mapped and measured out every little squiggle and deviation with 1/8" steel rod, held in place with 1/2" tubing, on a plywood base.